The MOLLE (Modular Lightweight Load-Carrying Equipment) system was created to withstand harsh, difficult conditions and rough terrains, making it suitable for less than that, and everything in between. This system, pronounced just like the girl’s name “Molly,” began in 1997 and became widespread after the attacks of 9/11. It was crafted for easy organization and uses simple points of access for attaching pouches to your important gear. This equipment is used primarily by military, along with fire and police departments, but that is far from all it can be useful for. People find these pouches useful for disaster preparation and camping, in addition to nursing, EMT needs, and military unit work. MOLLE has been taken on by the government and used for military bags ever since it was invented, but you don’t have to be a professional to use one of these pouches. 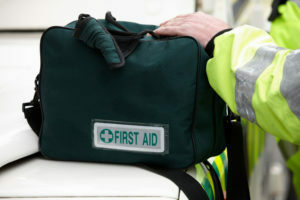 Many people simply designate them as a first aid kit to keep in the trunk of their car.